Michael trained as an economist at the Athens University of Economics and Business in Greece. He then joined the International Centre for Shipping, Trade and Finance at Cass; first as a student on its MSc programme, and then as a member of its academic staff, when he also received his PhD. He has served as Director of the MSc in Shipping, Trade & Finance and Associate Dean for the undergraduate programmes at Cass. He is currently Director of the MSc in Energy, Trade & Finance. He lectures in international commodity trade, commodity derivatives and trading, energy economics and shipping economics. His research interests are in the areas of commodity economics, energy derivatives and shipping economics. French (can read, write, speak, understand spoken and peer review), German (can read, write, speak and understand spoken), Greek, Modern (1453-) (can read, write, speak, understand spoken and peer review) and Spanish; Castilian (can read, write, speak and understand spoken). Tamvakis, M. (2015). Commodity trade and finance. Informa Law from Routledge. ISBN 978-1-317-66336-2. Tamvakis, M. (2007). Commodity Trade and Finance. London: Informa Law from Routledge. ISBN 978-1-84311-704-9. Tamvakis, M. (2012). International Seaborne Trade. In Talley, W. (Ed. ), The Blackwell Encyclopedia of Maritime Economics (pp. 52–86). Wiley-Blackwell. ISBN 978-1-4443-3024-3. Tamvakis, M. (2010). Energy Economics and Trade. In Th Grammenos, C. (Ed. ), The Handbook of Maritime Economics and Business (pp. 117–178). London: Lloyd's List, Informa. ISBN 978-1-84311-880-0. Tamvakis, M. (2002). Energy Economics and Trade. In Grammenos, C.T. (Ed. ), The Handbook of Maritime Economics and Business (pp. 105–146). LLP Professional Publishing. ISBN 978-1-84311-195-5. Tamvakis, M., Granberg, A. and Gold, E. (1999). Economy and Commercial Viability of the Northern Sea Route. In Ostreng, W. (Ed. ), The Natural and Societal Challenges of the Northern Sea Route: A Reference Work (pp. 221–280). Kluwer Academic Publishers. ISBN 978-90-481-5376-3. Tamvakis, M. and Lin, S.X. (2009). OPEC announcements and their effects on crude oil prices. 10th IAEE European Conference 7-10 September, Vienna, Austria. Lin, S.X. and Tamvakis, M. (2006). OPEC announcements and their effects on crude oil prices. 26th USAEE/IAEE North American Conference Ann Arbor, 24-27 September 2006. Hallouche, H. and Tamvakis, M. (2003). Inconsistency of policies and oil shocks: Dynamics according to the monetary regime. 23rd IAEE North American Conference Mexico City, 19-21 October 2003. Lin, S.X. and Tamvakis, M. (2003). Price discovery in gas markets: the case of the UK. 26th IAEE Annual Conference Prague, 4-7 June 2003. Hallouche, H. and Tamvakis, M. (2003). The future of North-Western Mediterranean Natural Gas Demand: Econometric Evidence. 26th IAEE Annual Conference Prague, 4-7 June 2003. Tamvakis, M. and Lin, S. (2002). Lead-lag relationships in high frequency energy futures markets. 25th Annual Conference of International Association of Energy Economists Aberdeen. Giamouridis, D. and Tamvakis, M. (2001). Can we rely on implied distributions? Evidence from markets. European Investment Review, ESCP Paris. Giamouridis, D. and Tamvakis, M. (2001). Can we rely on implied distributions? Evidence from the interest rate markets. Annual Research Conference in Financial Risk Budapest. Giamouridis, D. and Tamvakis, M. (2001). Can we rely on implied distributions? Evidence from the markets. 18th International Conference in Finance Namur. Tamvakis, M. and Lin, S. (2001). Duration analysis in the IPE Brent Crude Market. 12th Asia Pacific Futures Conference, Chicago Board of Trade Bangkok. Tamvakis, M. (2000). The NSR's commercial potential and restraints. Giamouridis, D. and Tamvakis, M. (2000). Asymptotic Distribution Expansions in Option Pricing: A New Method for Recovering Implied PDFs with an Application of Interest Rate Futures Options. Quantitative Methods in Finance and Bernoulli Society 2000 Conference Sydney. Giamouridis, D. and Tamvakis, M. (2000). Returns and Volatilities in the Commodity Markets: Do Commodities Qualify as a Source of Risk Diversification? 9th Spring Meeting of Young Economists Oxford. Granberg, A., Gold, E. and Tamvakis, M. (1999). Economy and Commercial Variability of the Northern Sea Route. The Northern Sea Route Conference: The 21st Century Turning Point for the Northern Sea Route? Oslo, Norway, 18-20 November 1999..
Thanopoulou, H. and Tamvakis, M. (1998). Does Quality Pay? The Case of the Dry Bulk Market. World Conference on Transport Research Antwerp, Belgium, 12-17 July 1998..
Mayr, T. and Tamvakis, M. (1997). The Relationship Between 3:2:1 Crack Spreads and Petroleum Imports. IAME Conference London, 22-24 September 1997..
Tamvakis, M. (1996). Hedging Tanker Freight Rates with Forward Inter-Crude Spreads. International Association of Maritime Economists Vancouver, Canada, 26-28 June 1996..
Alizadeh, A.H. and Tamvakis, M. (2016). Market conditions, trader types and price-volume relation in energy futures markets. Energy Economics, 56, pp. 134–149. doi:10.1016/j.eneco.2016.03.001 . Jin, X., Xiaowen Lin, S. and Tamvakis, M. (2012). Volatility transmission and volatility impulse response functions in crude oil markets. Energy Economics, 34(6), pp. 2125–2134. doi:10.1016/j.eneco.2012.03.003 . Lin, S.X. and Tamvakis, M. (2010). OPEC announcements and their effects on crude oil prices. Energy Policy, 38(2), pp. 1010–1016. doi:10.1016/j.enpol.2009.10.053 . Tamvakis, M., Hallouche, H. and Train, B. (2006). The Strategies of non-OECD Gas Producers. Oxford Energy Forum, 2006(64), pp. 16–18. Tamvakis, M. and Lin, S.X. (2005). Trading and news effects of NYMEX on IPE crude oil futures contracts. Journal of Derivatives and Hedge Funds (formerly Derivatives Use, Trading and Regulation), 10(4), pp. 338–348. Lin, S.X. and Tamvakis, M.N. (2004). Effects of NYMEX trading on IPE Brent Crude futures markets: A duration analysis. Energy Policy, 32(1), pp. 77–82. doi:10.1016/S0301-4215(02)00259-8 . Giamouridis, D. and Tamvakis, M. (2002). Asymptotic distribution expansions in option pricing: the case of energy and interest rate markets. Journal of Derivatives, 9(4), pp. 33–44. doi:10.3905/jod.2002.319184 . Giamouridis, D.G. and Tamvakis, M.N. (2001). The Relation Between Return and Volatility in the Commodity Markets. The Journal of Alternative Investments, 4(1), pp. 54–62. doi:10.3905/jai.2001.318998 . Lin, S.X. and Tamvakis, M.N. (2001). Spillover effects in energy futures markets. Energy Economics, 23(1), pp. 43–56. doi:10.1016/s0140-9883(00)00051-7 . Tamvakis, M.N. and Thanopoulou, H.A. (2000). Does quality pay? The case of the dry bulk market. Transportation Research Part E: Logistics and Transportation Review, 36(4), pp. 297–307. doi:10.1016/S1366-5545(00)00005-3 . Mayr, T.P. and Tamvakis, M.N. (1999). The dynamic relationships between paper petroleum refining and physical trade of crude oil into the united states. Maritime Policy and Management, 26(2), pp. 127–136. doi:10.1080/030888399286952 . Tamvakis, M.N. (1995). An investigation into the existence of a two-tier spot freight market for crude oil carriers. Maritime Policy & Management, 22(1), pp. 81–90. doi:10.1080/03088839500000034 . Papadopoulos, P.A. (1994). Applications of probability theory to marine project appraisal. Maritime Policy and Management, 21(2), pp. 103–123. doi:10.1080/03088839400000028 . Tamvakis, M., Jégourel, Y., Baffes, J., Geman, H. and Guttierez, L. (2018). From Chicago to Shanghai and Dalian: Apprehending the Future of Chinese Commodity Derivative Markets. Rabat, Morocco: OCP Policy Centre. ISBN 978-9954-9717-8-9. Pellet, C. and Tamvakis, M. (2016). Investing in Copper Futures: Evaluation of Absolute Return Strategies Within a Discrete-State Hidden Markov Model. Geneva: SRIC Foundation. Tamvakis, M. and Wu, Z. (2016). Export Restrictions in Minerals and Metals Trade and Prediction of Policy Change. Geneva: SRIC Foundation. Tamvakis, M. and Cor, A. (2016). Base Metals Inventories and their Influence on Futures Markets. SRIC Foundation. Tamvakis, M., Cohen, T., Toller, H., Grose-Hodge, S., Denton, H., Hubbard, W. … Mittal, U. (2012). The Future of Biofuels in Asia..
Tamvakis, M. and Lin, S.X. (2003). Trading Houses and the City of London..
Tamvakis, M. and Thanopoulou, H. (1998). Two-tier dry market myths put to the test. London. Houllier, M., Menezes, L.M.D. 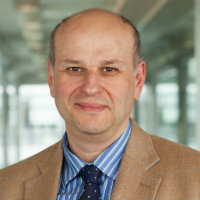 and Tamvakis, M. (2014). TIME VARYING LONG RUN DYNAMICS AND CONVERGENCE IN THE UK ENERGY MARKET. Tamvakis, M. (2001). Hedging tanker freight rates with forward inter-crude spreads. London: Cass Business School, City, University of London. Research on the prospects of transport biofuels and biomass generation in emerging economies in Asia and Africa. The project involves the management of seven MSc students who do sections of the project as part of their MSc dissertations. The project will be completed with the preparation and presentation of a report to the Czarnikow Group who sponsor the research. Journal of Risk Finance, Referee, Aug 2018 – present. International Review of Economics and Finance, Referee, 2018 – present. Journal of Banking and Finance, Referee, 2017 – present. International Journal of Global Energy Issues, Referee, 2016 – present. Energy Policy, Referee, 2015 – present. International Journal for Financial Engineering and Risk Management, Special Editor, 2014. Energy Economics, Referee, 2010 – present. Journal of Alternative Investments, Referee, 2010 – present. Maritime Policy & Management, Referee, 2009 – present. Energy Journal, Referee, 2004 – present. New Energy Challenges and Opportunities. (Conference) (2018). Chair and Organising Committee. Description: Organised at Cass for alumni, current students and industry guests. Future of LNG Forum. (Conference) (2016). Chair and Organising Committee. Description: Organised at Cass for Cass alumni, current students and industry guests. Oil prices: The Disruptive change that no-one saw coming? (Conference) (2015). Chair and Organising Committee. Description: Organised at Cass in collaboration with the World Petroleum Congress. 51st Meeting of the EWGCFM. (Conference) ESCP London (2013). Organising Committee. 10th IAEE European. (Conference) Vienna, Austria, 7-10 September 2009 (2009). 26th USAEE/IAEE North American. (Conference) Ann Arbor, 24-27 September 2006 (2006). 3rd Energy Risk Management Seminar. (Conference) Cass Business School (2005). Session/Day Chair and Organising Committee. 2nd Energy Risk Management Seminar. (Conference) Cass Business School (2004). Organising Committee. 1st Energy Risk Management Seminar. (Conference) Cass Business School (2003). Session/Day Chair and Organising Committee. 26th IAEE Annual Conference. (Conference) Prague, 4-7 June 2003 (2003). 23rd IAEE North American Conference. (Conference) Mexico City, 19-21 October 2003 (2003). 25th IAEE Annual Conference. (Conference) Aberdeen, 26-29 June 2002 (2002). European Investment Review, ESCP. Paris (2001). Annual Research Conference in Financial Risk. (Conference) Budapest (2001). 18th International Conference in Finance. (Conference) Namur (2001). 12th Asia Pacific Futures Conference, Chicago Board of Trade. (Conference) Bangkok (2001). Quantitative Methods in Finance and Bernoulli Society 2000 Conference. (Conference) Sydney (2000). 9th Spring Meeting of Young Economists. Oxford (2000). Paper: Returns and Volatilities in the Commodity Markets: Do Commodities Qualify as a Source of Risk Diversification? The Northern Sea Route Conference: The 21st Century Turning Point for the Northern Sea Route? (Conference) Oslo, Norway, 18-20 November 1999. (1999). Co-authors: Granberg, A. and Gold, E.
World Conference on Transport Research. (Conference) Antwerp, Belgium, 12-17 July 1998. (1998). IAME. (Conference) London, 22-24 September 1997. (1997). International Association of Maritime Economists. Vancouver, Canada, 26-28 June 1996. (1996). The potential danger of one of the world’s largest icebergs breaking away from Antarctica. (2017) BBC World Service: Business Matters (radio). Tata Steel sells UK steel works. (2016) BBC Radio 4 - The Today Programme (radio). Cinco navieras mueven el mundo. (2015) El País (newspaper). MSc Taster Day 2014: Professor Michael Tamvakis. (2014) MoneyScience (website). QatarÕs sustainable energy drive makes good sense. (2014) Gulf Base (website). QatarÕs sustainable energy drive makes good commercial and environmental sense. (2014) Gulf in the Media (website). Wheat prices rise (Ukraine and global warming fears). (2014) BBC World Business Report. Beating the Big Six at their own game. (2013) Management Today. Beating the Big Six at their own game. (2013) Management Today (Online) (website). The most profitable business in the world? (Trading houses and the commodity supercycle). (2013) BBC World Service - Business Daily (website). The World Tonight. (2013) Radio 4 (radio). Commodity price falls (gold and oil). (2013) BBC Radio 4 - The World Tonight (radio). Today Programme. (2012) BBC Radio 4 (radio). US port strikes. (2012) BBC Radio 4 - The Today Programme (radio). US energy independence. (2012) BBC Radio 4 - The Today Programme (radio). Oil price setting. (2012) BBC World Service. Oil price setting and price reporting agencies. (2012) BBC Radio 4 - The Today Programme (radio). (2012) BBC Radio 5 Wake up to Money (radio). (2012) BBC World Business Report. Glencore and Xstrata merger. (2012) BBC Radio 5 Live - Wake up to money (radio). Glencore and Xstrata merger - further commentary. (2012) BBC World Business Report. Glencore in talks with Xstrata. (2012) BBC World Service TV (television). Glencore and Xstrata merger. (2012) BBC World Business Report. (2012) BBC World Service TV (television). Glencore. (2011) BBC Radio 5 Live - Wake up to money (radio). Glencore first revenue results. (2011) BBC World Business Report. Glencore first revenue results. (2011) BBC Radio 4 - The Today Programme (radio). Glencore's first revenue results. (2011) BBC Radio 5 Live - Money Talks (radio). The Documentary: Bubble Trouble? (2011) BBC World Service - The Documentary: Bubble Trouble?. Glencore's 'cornerstone' investors anchor huge flotation. (2011) The Guardian online (website). (2011) American Public Radio (radio). (2011) Radio 4 Today (radio). (2011) BBC Radio 4 Today (radio). All at sea? (2011) BBC Radio 4 (radio). Could rising ore prices halt recovery? (2010) www.bbc.co.uk (website). (2010) BBC World Service Radio (radio). (2009) BBC Scotland TV (television). Shipping experts fear that piracy is funding Al Qaeda terrorism through London. (2009) www.complinet.com (website). In Europe, New Life for Nuclear. (2008) www.in.finance.yahoo.com (website). In Europe, New Life for Nuclear. (2008) www.asia.news.yahoo.com (website). (2007) BBC World Service TV (television). Democrats' oil security bill. (2007) CNBC Europe (television).